At JumpStart 2019, there will be no question how driven First Financial Security is to succeed in this business. We have prepared an incredible series of speakers to get the momentum going for each of your agents and their teams in 2019. 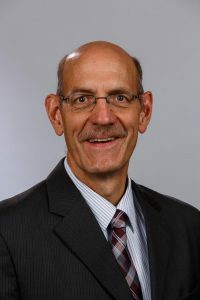 We are pleased to announce that Doug Ommen, Iowa Insurance Commissioner, will offer our field deeper insights into our industry. He will speak regarding the need to recruit new talent into our industry, motivating us to build our teams bigger and stronger than ever. As we begin the new year, make recruiting quality associates a priority and let FFS be the place for new, exciting players to enter the insurance industry. Doug Ommen comes to us with an impressive history of public service. He has been instrumental in regulatory reforms while serving as Missouri’s Insurance Director and regularly speaks to media and consumers alike about the insurance industry, avoiding fraud and ensuring proper coverage. We are excited about this opportunity to have a master in our industry motivate and inspire our FFS teams.